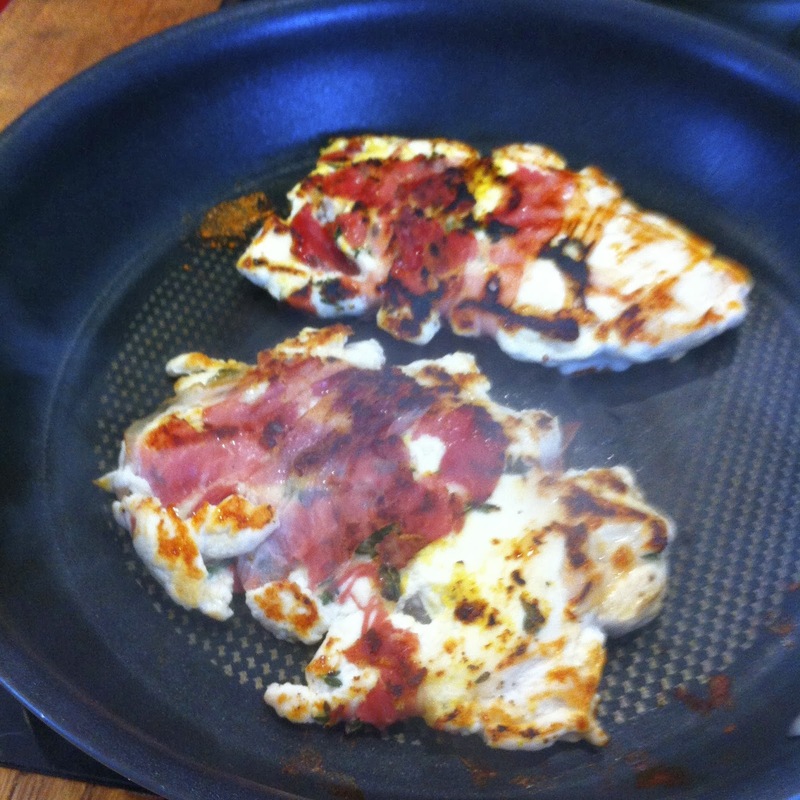 Jamie Oliver calls this Chicken Breast with crispy Posh Ham and you can find it in his book Jamie's Ministry of Food. I attended my second Friday evening at Jamie's Ministry of Food, five week course, in the Jamie pop up kitchen that popped up close to work. Its an amazing kitchen inside, a converted trailer that houses 4 work bench tops including hotplates and fully stocked with all the cooking pots and utensils you might need, 4 sets of wall ovens and 4 sinks. So 12 participants, 1 instructor with a demonstration bench and 1 volunteer assistant. Amazingly we all fit and cook quite well. 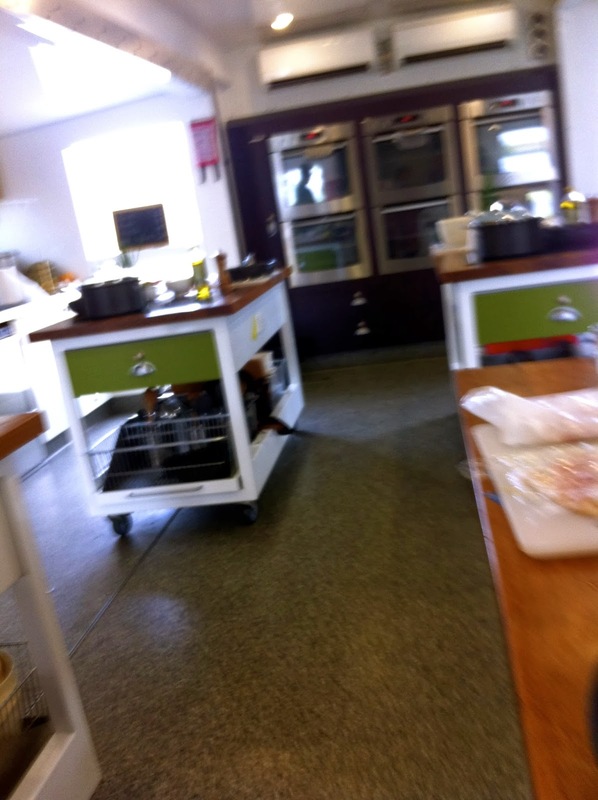 The first week was all about Kitchen safety and etiquette and eggs. We cooked spinach frittata, poached and boiled eggs. And we ate it all before I even thought to take any photos. Even though I consider myself a pretty good cook we have so far cooked some different things and I am very happy to pick up some tips along the way e.g. knife techniques, bashing techniques (with a fry pan) and different ways of doing things that I can incorporate into my home cooking. 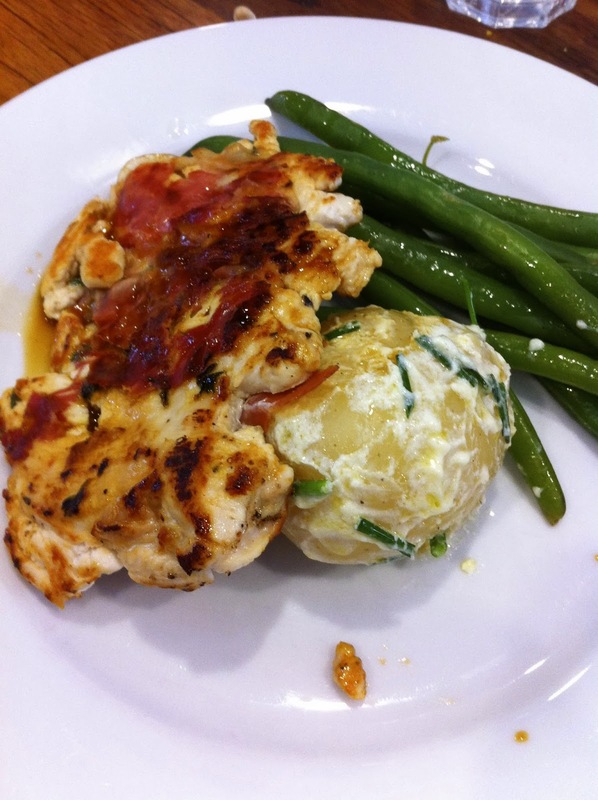 Last week was this lovely chicken dish accompanied with Evolution Potato Salad and Lemony Green Beans all of which can be found in Jamie's book by the way, which has now come down from my bookshelf! It seems that most of these recipes at the course are designed for two - we eat one at the Pop-up kitchen with the rest of the participants and bring one home - this saves cooking on a Friday night which I am quite liking! We started with this Evolution Potato Salad and put the potatoes on to boil (I'll come back to this later) and then set about the chicken. Pick thyme leaves off the stalks. Carefully score the underside of the chicken breasts in a criss cross fashion so once it starts to cook will lay flat in the pan. fold the prosciutto ends over the chicken to complete the parcel. Lay on some more cling film and give the chicken a good bash with the bottom of your fry pan until the breast is even in thickness - about 1cm and quite flat. Heat the fry pan over a medium heat. 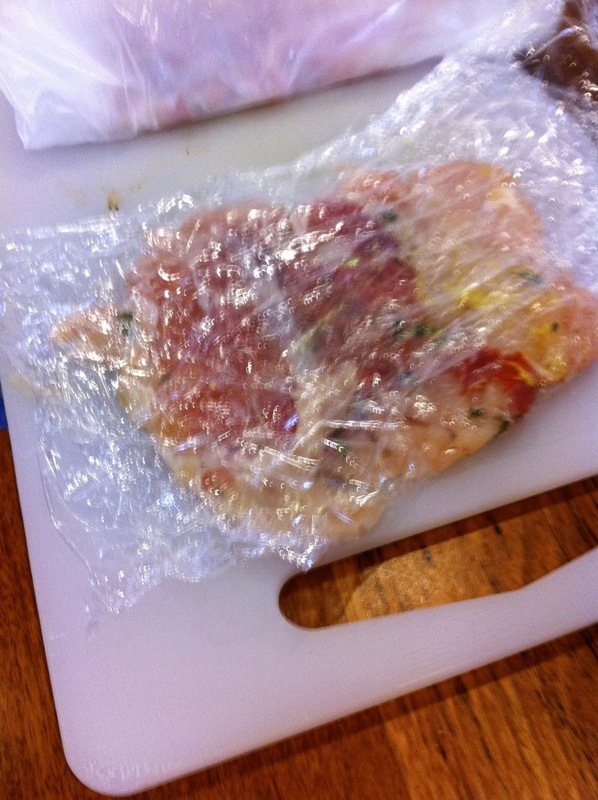 Remove cling film and carefully transfer breasts to the pan. Cook for approx 3 mins on each side turning halfway through, giving the ham time to crisp. These were delicious and took very little time to prepare and cook. Looking forward to tomorrow and the next class. 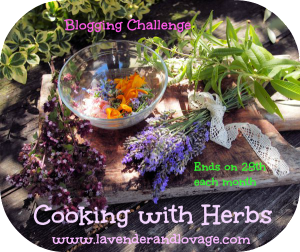 Including this in Lavender and Lovage Cooking with herbs this month which features rosemary that I think would work equally well in this dish. Looks like will be a delicious. Cook book offering clear and simple recipes with easily obtained ingredients as an antidote to some of what's out there. I agree Robin, thanks for stopping by. It looks and sounds amazing. I love Jamie Oliver's food and would love to do one of his Ministry of Food Courses - I'm very envious! Corina keep and eye out they could be coming to a town near you. Seems like something has happened to my comments box?? Oh there we are back in business again!! how fantastic that you got to have that wonderful experience!.... the chicken and posh ham is a classic but divine nonetheless! 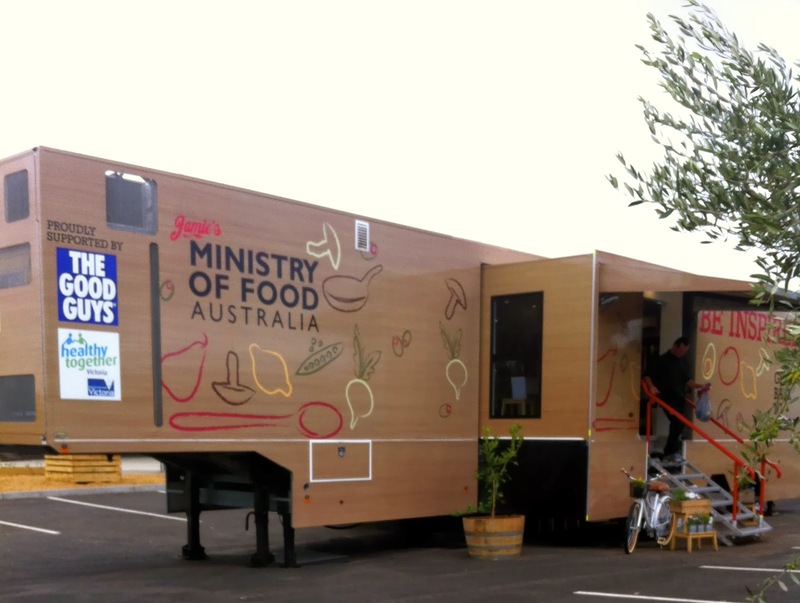 This pop up kitchen got a little write up in the local paper too. Trying to entice people in the Wyndham area to re-evaluate what and how they cook. It has some excellent sponsors and is heavily subsidised by the local Wyndham Council and local government making it exceptionally reasonable to attend the course. I am doing my little bit to spread the word. I think I've tried this Jamie recipe and it was delicious! I remember a similar one with a little cheese in too ... also delicious! Must have a look for one with cheese. This one was delicious though. He has a very rustic style that I like and some of his flavours are just the best. Your Friday's must be so much fun and you even have supper prepared to take home. 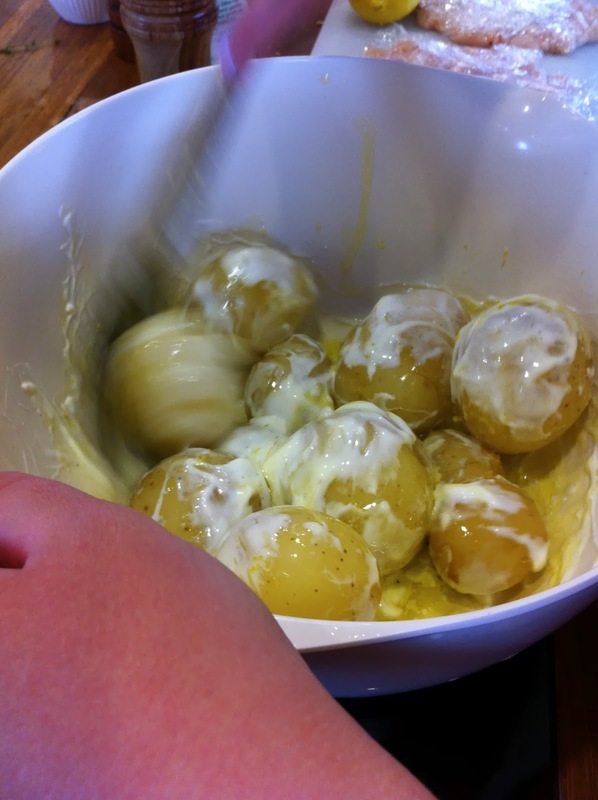 Are you making lots of good foodie friends while cooking together? I am really going to miss this when it finishes. Its amazing how quickly the weeks fly by. It will be quite sad to say goodbye to some new friends (although we are talking about doing another one in a few weeks time with a different selection of recipes). Can you believe we used rosemary in our roast this week at Jamie's pop up kitchen but it was too late to enter into your challenge for March.